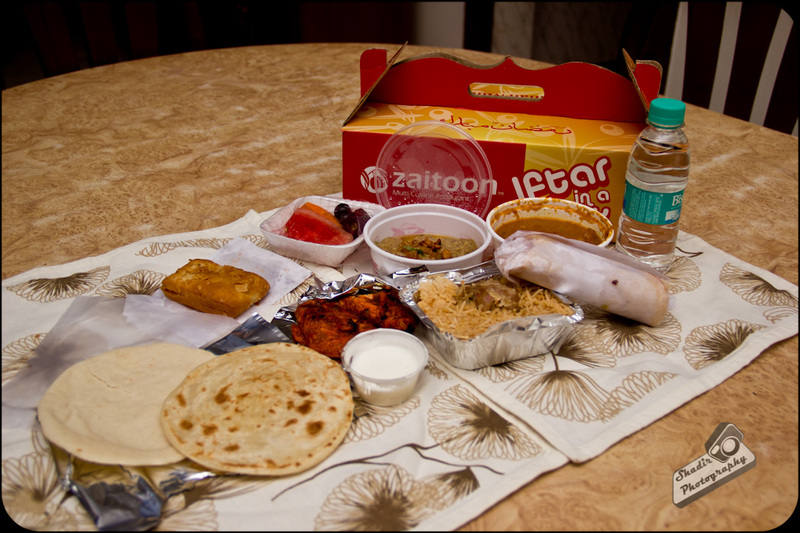 I have had the 'Iftar in a Box' from Zaitoon, the previous year and I raved about it being worth the cost and one of the best budget friendly ways to break one's fast. So I wanted to check the Iftar box this year also to see what had changed. Has it become better or still remains the same? A few changes noted over the previous year seems like the deletion of the fresh juice, and smaller size containers for the mayo. Visibly much smaller amount of Haleem. Apart from that the box maintains the standards set the previous year. The shawarma is whole-some, something which was missed last year. The Mutton Kheema Puff had trace amounts of mutton in it. Chicken gravy was so spicy that if one finishes off the gravy, he/she would fail to fast the coming days due to gastric reflux. Also the mutton biryani was so-so. All the deletions in dishes plus the drop in standards and price higher at Rs 333/- before tax, this does not seem to have value-for-money proposition which the previous year box had. 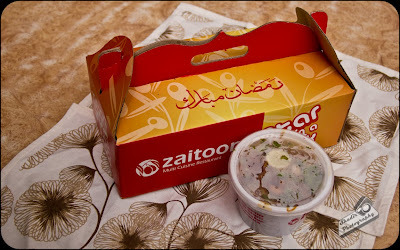 Point to note Haleem still rocks! Zaitoon is located in Chintamani opposite to Natural Spa. There are various other outlets spread across town.